It is with confusion, anger and frustration that I write today, with a resounding question of “Why?”. And not ‘why does something like this happen’, but why do we, as a human race feel this need, this impulse to do such horrible things to one another? I cannot reconcile in my mind that someone felt such passionate hatred for a group of people without even knowing them that they want to kill and injure them? It is because I am a decent human being that I will never understand. Even if we have answers and knowledge, I will never understand, which is a good thing. I can’t shake the feeling of how small I feel after something like this happens. I think to a degree we all think of our selves as important, and we are in our own ways in our own lives. But in the grand scheme of things, that job you wanted, your new car, that dumb guy that cut you off on traffic – none of it matters. What matters are our reactions to those things that put out energy into the world; that still exists after we cease to be. When I read this, it makes me shift my thinking and shift my perspective. 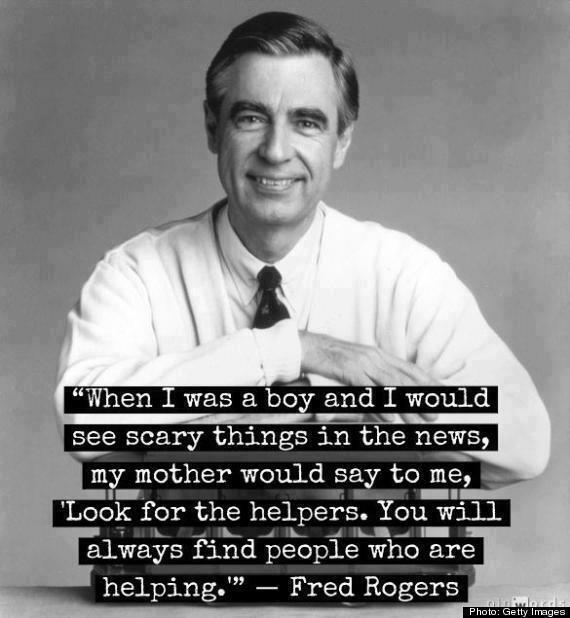 Instead of focusing on the terrible tragedy, let the good deeds shine. It does not diminish the awfulness of the situation, but it gives less power to the negative. Isn’t that what we all want in our lives anyhow? Less negative, more good? Don’t let the darkness get all that power. Help, donate, do whatever you can do to contribute your bit of good. And not just for the victims of the Boston Marathon, but in your own everyday lives. It’s with renewed fervor that I go about my cookie business this week. As many of you know, I went to the 114th Precinct this week, which is retrospectively fitting for today’s post. Both the drop and the pick up were fairly uneventful, with the biggest challenge being trying to find a parking spot. I was not about to go in to do something nice and end up with a ticket 🙂 Walking in, you can see the hierarchy of rank almost as if these men have floating signs above their head with their years of service. At the desk there’s the rookie, fresh faced and looks barely 23 years old. Slightly further back you see more middle aged men with a bit more ‘swagger’ I guess is the right word, and then toward the back of the room, there’s the chief who feels no need for swagger but carries himself with authority that makes you pay attention. When I came back to pick up my plate on Sunday, it was much quieter. I spoke with Officer Kober about where to go next and he asked (totally playing into my expectation) if I’d been to the fire house yet. Apparently there are at least three in the neighborhood, because when I asked him where it was, he named two separate ladder numbers. That is how you refer to them, right? I told him I could only go to one place and he asked me where i lived, trying to make it closer and more convenient for me. I told him that has no bearing on your decision and that he needed to pick this without any of my input. He then said, “I’ll send you to the best one” and told me to go to a third house, Engine 312 right up the 35th street between 23rd and Ditmars. I did a little googling and it turns out they are called the Hell Gate Gang. 🙂 This is going to be fun. As you go about your day today, just be aware. All actions have consequence, good and bad. Make your ripples be positive ones and don’t wait for the darkness for your goodness to shine.